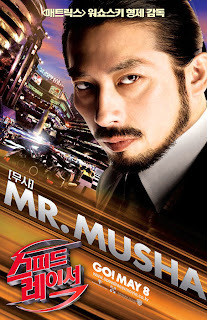 The last news about Speed Racer the movie. Mach 5 is a damned good car! Watch the trailer! 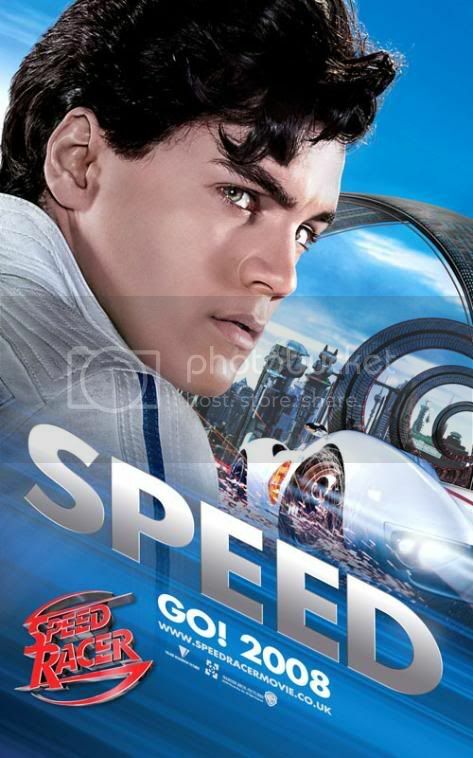 Speed Racer (Emile Hirrsh) remembers his brother Rex (Scott Porter) while competing in a race. I feel like the movie will fulfill its promise: a great movie I believe! The car is a living breathing thing. The Immortal Blade of Bezerko. Spritle (Paulie Litt) and Chim-Chim picture themselves inside their favorite anime show. 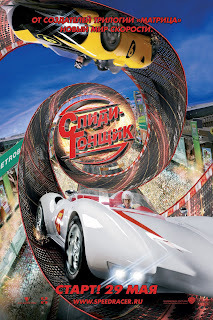 The Wachowsky brothers who have directed the movie Speed Racer have done a good job. 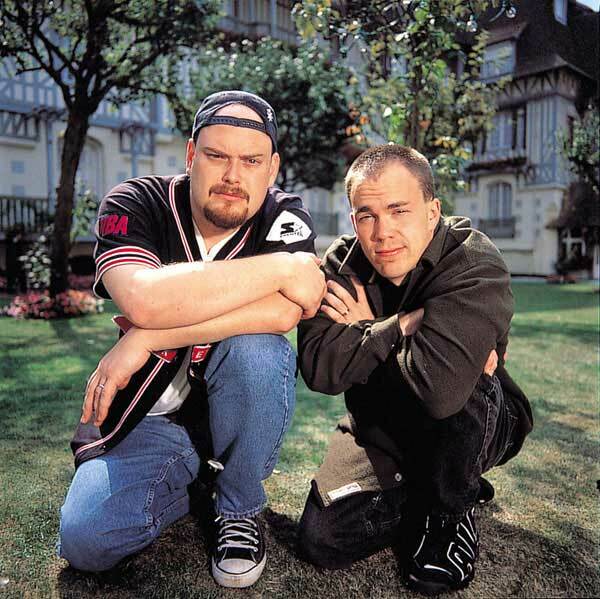 Besides the member of the cast was selected. 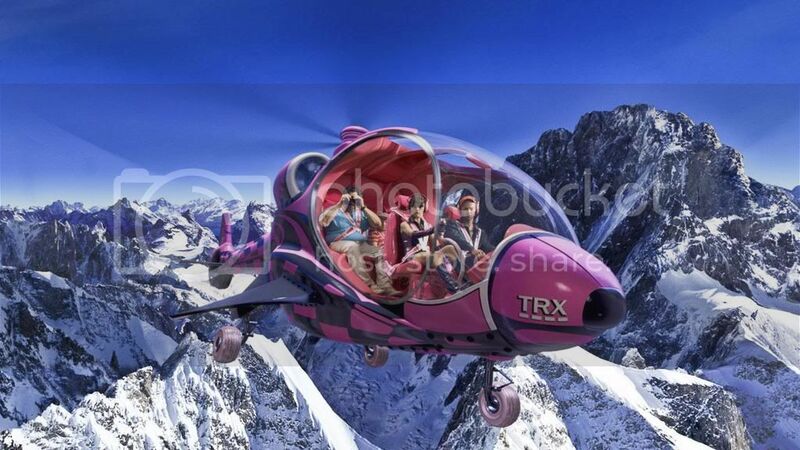 This movie is going to be cult not only for its definitely revolutionary use of CGI but also for the movie itself! 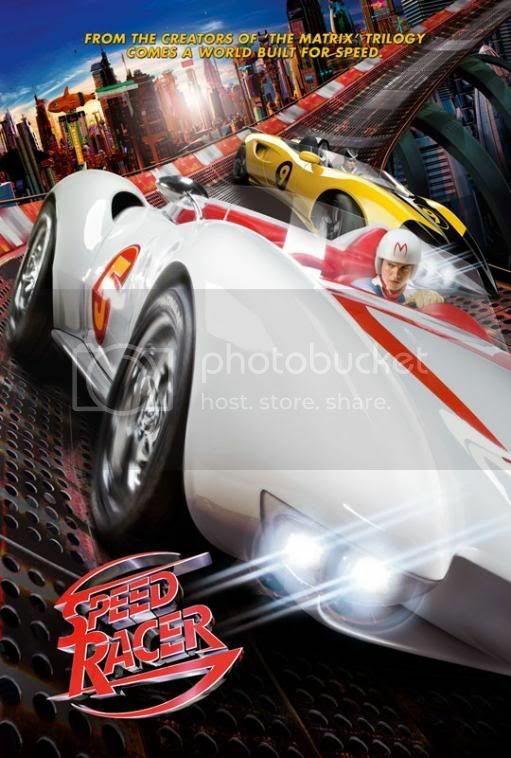 A music video clip has been unveiled for Speed Racer. Well the music isn't as good as in Fast and Furious but not as awful as some may pretend. Music video for "Go Speed Racer Go" performed by Ali Dee and the Deekompressors, including lots of action-packed footage from the movie Speed Racer, starring Emile Hirsch, Christina Ricci, Matthew Fox, Susan Sarandon and John Goodman. Hopefuly we will have a better soundtrack during the movie itself. A high-octane extended trailer is now available for Speed Racer. 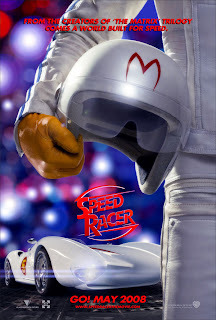 If there is one Speed Racer Trailer I strongly recommend you to watch it's this one! 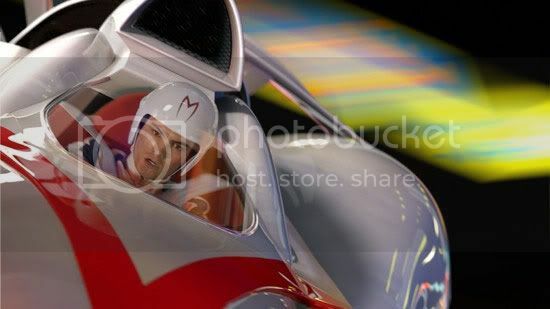 Speed Racer is going to be a wonderful movie! Go Speed Racer, Go! A new international trailer has been unveiled for Speed Racer. New explosive footage is shown and it gives more hintsabout the core plot of the Wachowsky brothers'movie. All drivers to your cars! I'm more confident than ever that Speed Racer is a great movie: a great plot, gorgeous special effects, nice cars and trained actors. An explosive coktail! I like the Italian Vespa the girl is riding! Go, go, go Mach 5! Speed Racer has a new theatrical trailer. It confirms the impression given by the two precedent international trailers: Speed Racer is more than a movie full of CG effects. 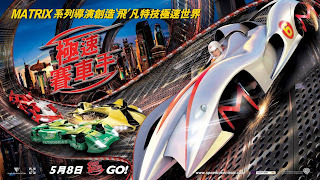 It sticks quite well to the original universe of the Japanese anime: old fans of Speed Racer won't be lost. 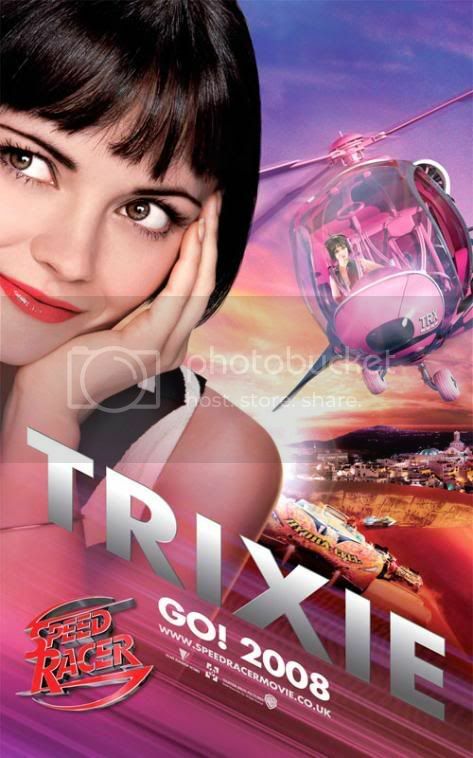 And newcomers may discover and appreciate Speed Racer not only for the special effects but for the general plot too. What about you? What were you dreaming of when you were a child? Was it Racing? Driving Mach 5? By the way, many thanks to Andrea who spotted this trailer of Speed Racer! Speed Racer official release is for less than two months. So the promotion is warming up and tv spots are aired for the upcoming movie adaptation of the 1960's Japanese anime. What an amazing movie! And how gorgeous those cars are! 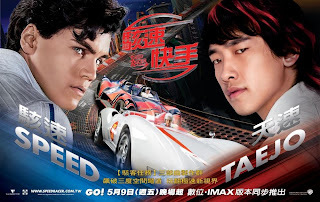 Two international trailers of Speed racer have been released! Those new trailers are less flashy than the first domestic trailer of Speed Racer: but they look damned good. Mach 5 is more gorgeous than ever: I wish I had such a car. 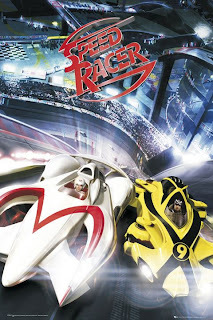 A 3D game is available for Speed Racer. It has been developed by Blit Interactive for Topps. Or register yourself (and then just click on "DO NOT enter me in the Topps 'Speed Racer' Sweepstakes" to bypass the intrusive registration form). 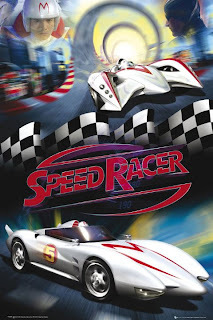 If you want to play to Speed Racer game and to drive Mach 5 at full speed click on the picture above or click Here. Just use the arrow keys, press B to boost your car and Space for jumping. Beware: if speed is addictive, driving Mach 5 is even more! 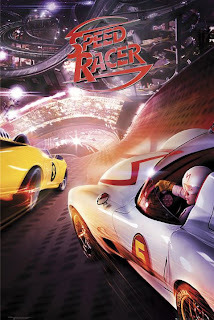 The official trailer of Speed Racer, the movie adaptation of the 1960's Japanese animated series by the brothers Wachowsky has been released. Fan from the 1960's may disdain the video game aspect of Speed Racer the movie. 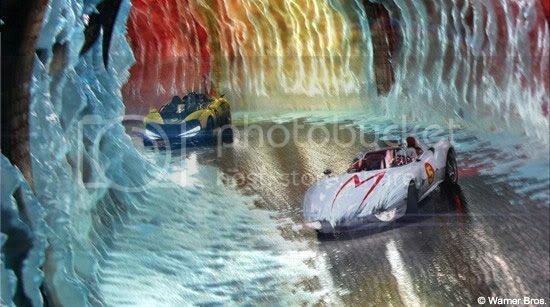 But I think newcomers to the world of Speed Racer may enjoy even more their discoveries thanks to those cutting-edge CG effects. By no doubt it won't be just a family movie like thought before: this film is indeed pioneering a new frontier of cinema mixing - with talent - CG graphics and real actors, it will etch our memories! 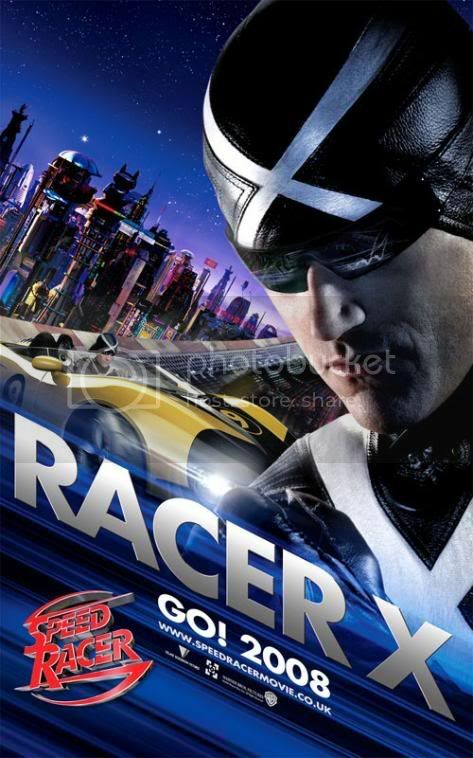 Speed Racer definitely looks great! I'm a fan! Amazing, looks like the car is going to get out of the picture! 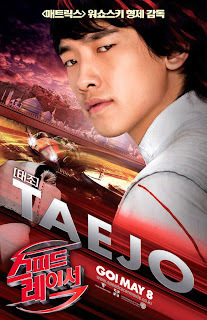 The pictures of Speed Racer looks amazing. There is no denying that this movie brings some graphical innovations to the world of cinema. Just one word: Great !